Apart from England at the World Cup and the General Election, I can't remember the last time I witnessed a circus in full-swing. Oh yes I can, it was Chipperfield's in the early 80s and I certainly remember a few animals leaping about all over the place (unless I was actually watching England again). I digress - nowadays animals have been replaced by humans and circuses visit the UK from all over the world. 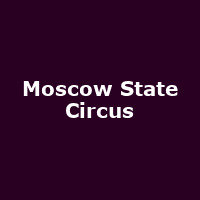 One of the top touring circuses is the Moscow State Circus, confirmed to tour the UK during August and the first part of September. We have access to a fantastic ticket offer - buy one ticket, get one free. Sounds good eh? Yes, for just £27.50, you can pick up another ticket for gratis, zilch, zero, nul, making the overall value £13.75 each. Click on the "Book this Offer" button, below but be warned - tickets are limited for this offer. To receive the offer, you must enter the code TMDEAL in the "Ticketdeals Partner Offer" box. Next stop for the circus is Eastbourne from 5th to 10th August, followed by Bracknell on 12th - 15th, Weymouth on 17th - 22nd and Plymouth 25th - 5th Sep - the offer covers both afternoon or evening choices. The Moscow State Circus is renowned for amazingly physical, intricate and skilful ingenuity and this tour will reveal an updated version of the award-winning show, "Legenda".